Looking for the perfect holiday gift for everyone on your list? Why not send a piece of Arkansas? 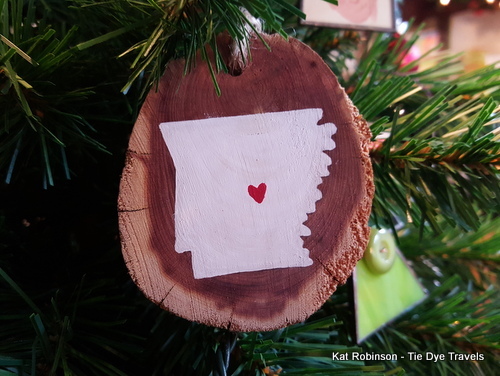 Here's a comprehensive list of all sorts of great Arkansas products you can send to the ones you love... all sorts of links to online order-able items that will make an impression. The term Cyber Monday was only coined ten years ago, but the idea has stuck... after the madness of Black Friday (and whatever Thanksgiving Thursday happens to be), Small Business Saturday and Holiday Decorating Sunday, folks are getting back to work and... like as not... spending time not working, working on filling the gaps for what will go under the tree. Arkansas foods you can buy online. Click here to see my comprehensive list. Arkansas Made. A great place to start your search for all Arkansas made crafts, with a growing list of artisans and products. Arkansas on Etsy. Many of our local artists sell on Etsy. Here's a quick link. eggshell kitchen co. This Heights District shop is a haven for cooks, with all sorts of gadgets and wonders. 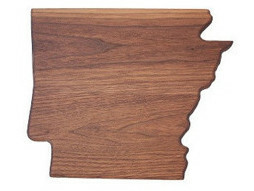 Check out Arkansas-made tools, Arkansas-shaped cutting boards and more. 4 Square Gifts. This downtown Little Rock vegetarian eatery and souvenir shop carries a variety of great Arkansas gifts and ships gift baskets all over. Gifts of Arkansas. Purchase pre-picked packs and baskets or work with the company to select your own choices to send Arkansas to people anywhere. Grav Weldon art. 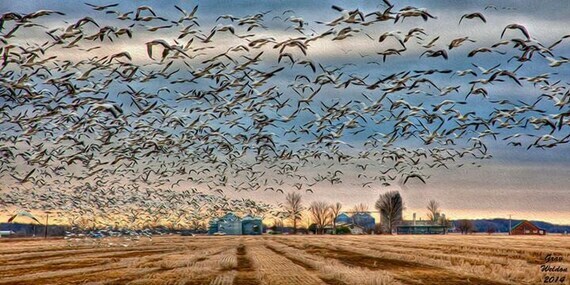 The Arkansas-based photographer's digital creations on canvas are absolutely swell. Go take a look at the Tie Dye Travels shop on Etsy. The Green Corner Store. Billed as Arkansas's first eco lifestyle store, this South Main District shop inside an old-fashioned facade contains all sorts of Arkansas goods and gifts. Heifer International. Give gifts to others by providing clean water, animals, funding projects and empowering women by making a donation to Heifer International. Each comes with a card for the person in whose name you purchase these gifts. House of Webster. This Rogers-based business produces a bevy of Arkansas-made jams, jellies, mustards, salad dressings and more. Visit the store when you're in town, or order online anytime. Ozark Country Market. All sorts of food gifts shipped anywhere you list. 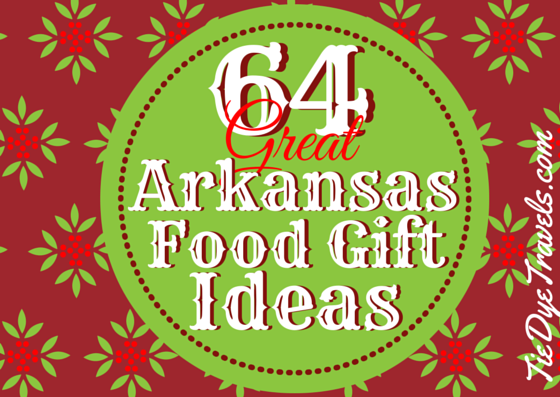 Check out the Arkansas Food Basket from this Heber Springs based business. Paul Michael Company. This Lake Village based furniture and home decor company is legendary. Now you can order online! Rock City Outfitters. Feed your Arkansas nostalgia and wear your pride with works on cloth you pull over your head and don before heading out into the world. Yeah, I'm promoting the Arkansas Food Map shirt, too! Savory Pantry. The Hot Springs-based food lovers shop carries all sorts of local and regional favorites and ships anywhere. Shop The Rock. The official Little Rock merchandise store inside the Ottenheimer Hall at the River Market carries all sorts of souvenirs and local products. War Eagle Mill. Organic grains, mixes, gift packs and more, based out of a three story red barn near Rogers. Lots of favorites and some new-to-me on this list.